Please read the information regarding training. 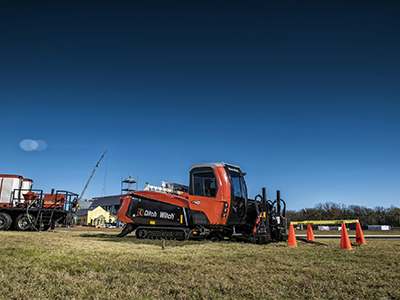 Location: All schools will be held at Ditch Witch facilities in either Fowler, Ca., 800-350-2595, or Corona, Ca., 800-491-9004, or Newark, Ca., 800-510-6262. (Make individual reservations request Ditch Witch corporate rates: $109.00 @ Holiday Inn Selma, $79.00 @ La Quinta Fowler, $99.00 @ Ayers Suites, $79.00 @ Holiday Inn Express Corona, hotels are close to store.) Bay Area, The Chase Suites in Newark have a Ditch Witch rate of $149.00 but hotels in the Bay Area sell out quickly. Costs: Customer picks up hotel and evening meals. Training is no charge with a purchase of a boring unit, or if a boring unit has been purchased from us within the past two years from any of our four stores. If a unit has not been purchased in past two years, training is $695.00 per person, per day, payable in advance, but contact us for details on costs and availability of training. Class Size: Classes are generally limited to six to twelve people unless all the attendees are from one company. If all from one company up to sixteen can be accommodated at one time. Safety: Grounding, staking, protective equipment, ESS systems, safety wrenches, drilling dangers, quick connects, USA, sweeping for power, proper and safe drilling procedures, safety videos, proper communications, trailer maintenance, dangers of spinning drill rod, dangers of pits. Locating: Complete instruction on both pipe and cable locating as well as tracking equipment. Drilling: Complete operations on both actual units and JTS Simulator. Total of ten hours of drilling time plus two hours about daily maintenance. Operations cover all aspects of directional drilling, setup, planning, drilling, backreaming, tooling, and accessory items. Choose two dates convenient to your operation that are Tuesdays through Thursdays. Training is held at the three stores normally once monthly, unless tied to an actual sale of a drill rig. Indicate the number and names of personnel attending. Dates will be confirmed within seventy two hours of receipt. Dates requested that are further out than 30 days will be confirmed and then re-confirmed no later than ten days prior to the actual date of training.